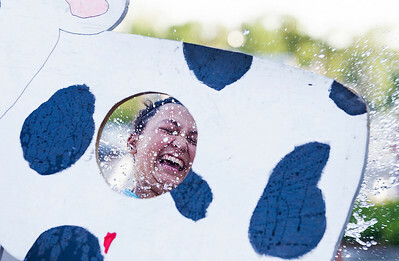 Kyle Grillot - kgrillot@shawmedia.com Yadira Aguayo of Harvard reacts after a teammates throws a water ballon through a hole during the Milk Days Bed Races Wednesday in Harvard. 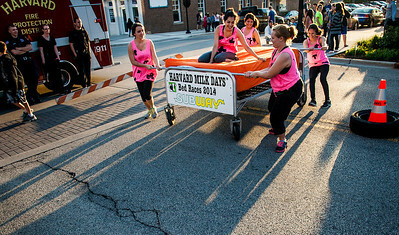 Kyle Grillot - kgrillot@shawmedia.com Contestants Kelsey Kurth (from left), Sollimar Figueroa, America Figueroa, Anna Lambert and Teresa Mercado race down Ayers Street during the Milk Days Bed Races Wednesday in Harvard. Kyle Grillot - kgrillot@shawmedia.com Samantha McCloud, 17, of Harvard collapses on the bed after racing down Ayers Street during the Milk Days Bed Races Wednesday in Harvard. 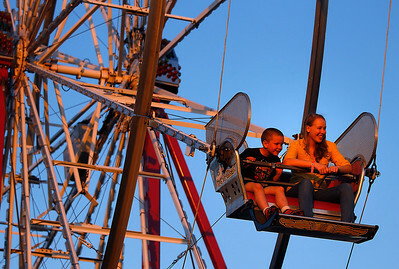 Kyle Grillot - kgrillot@shawmedia.com Cousins Justin Wheeler, 6, and Kayla McCloud , 15, both of Harvard, ride the ferris wheel during the Milk Days carnival Friday, June 6, 2014 in Harvard. 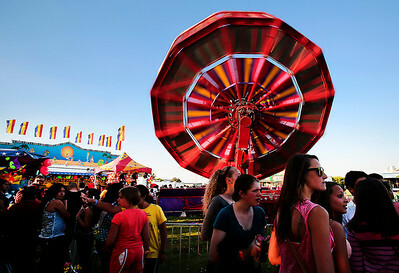 The carnival will be open until 10 p.m. Sunday, and admission to the park grounds is free with a $5 parking fee. 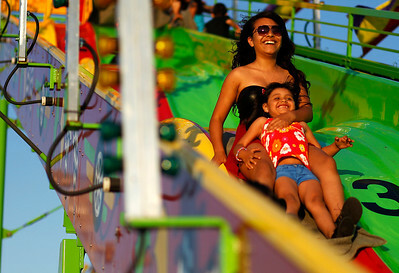 Kyle Grillot - kgrillot@shawmedia.com Anahi San Gabriel, 16, (left) rides down the slide with her cousin Ashley Perez, 5, both of Harvard, during the Milk Days carnival Friday, June 6, 2014 in Harvard. 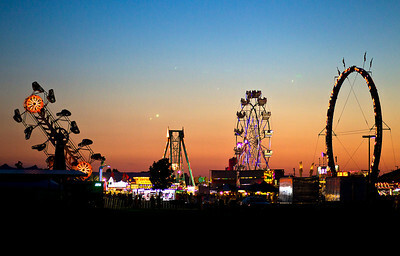 The carnival will be open until 10 p.m. Sunday, and admission to the park grounds is free with a $5 parking fee. 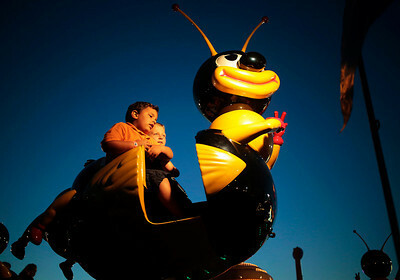 Kyle Grillot - kgrillot@shawmedia.com Jett Damiano, 3, (left) of Harvard rides the Bumble Bee Bop ride at Milky Way Park during the Milk Days carnival Friday, June 6, 2014 in Harvard. 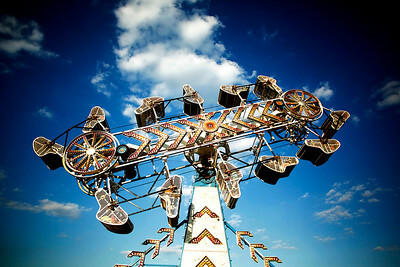 The carnival will be open until 10 p.m. Sunday, and admission to the park grounds is free with a $5 parking fee. 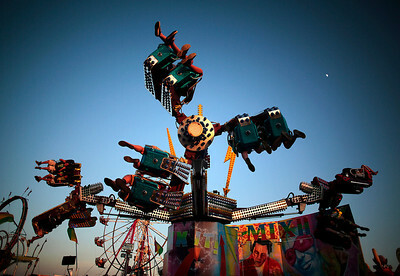 Kyle Grillot - kgrillot@shawmedia.com Thrill-seekers ride the Zipper during the Milk Days carnival Friday, June 6, 2014 in Harvard. 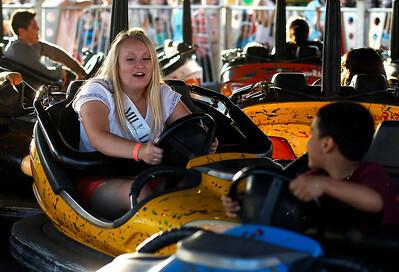 The carnival will be open until 10 p.m. Sunday, and admission to the park grounds is free with a $5 parking fee. Kyle Grillot - kgrillot@shawmedia.com Thrill-seekers ride the Re-Mix II during the Milk Days carnival Friday, June 6, 2014 in Harvard. The carnival will be open until 10 p.m. Sunday, and admission to the park grounds is free with a $5 parking fee. Kyle Grillot - kgrillot@shawmedia.com Sun sets while spectators fill Milky Way Park during the Milk Days carnival Friday, June 6, 2014 in Harvard. The carnival will be open until 10 p.m. Sunday, and admission to the park grounds is free with a $5 parking fee. Kyle Grillot - kgrillot@shawmedia.com Angie Frank holds her son Alex, 1, while riding the carousel during the Milk Days carnival Friday, June 6, 2014 in Harvard. The carnival will be open until 10 p.m. Sunday, and admission to the park grounds is free with a $5 parking fee. Kyle Grillot - kgrillot@shawmedia.com Alexandra Cano, 9, (left) and Emily Escobar, 8, of Harvard pet a cow inside a barn at Milky Way Park during the Milk Days carnival Friday, June 6, 2014 in Harvard. The carnival will be open until 10 p.m. Sunday, and admission to the park grounds is free with a $5 parking fee. 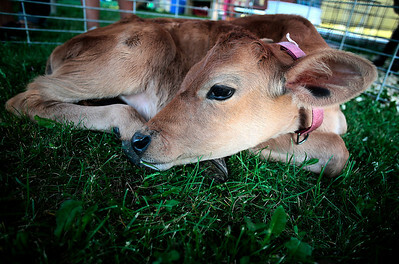 Kyle Grillot - kgrillot@shawmedia.com A young calf relaxes in the petting zoo tent during the Milk Days carnival Friday, June 6, 2014 in Harvard. The carnival will be open until 10 p.m. Sunday, and admission to the park grounds is free with a $5 parking fee. Kyle Grillot - kgrillot@shawmedia.com Thrill-seekers ride the Roundup during the Milk Days carnival Friday, June 6, 2014 in Harvard. The carnival will be open until 10 p.m. Sunday, and admission to the park grounds is free with a $5 parking fee. Kyle Grillot - kgrillot@shawmedia.com Recent Harvard High School graduate Kathy Harter bumps into another bumper car driver during the Milk Days carnival Friday, June 6, 2014 in Harvard. 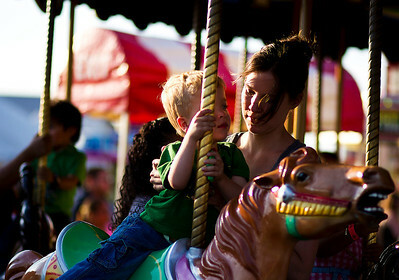 The carnival will be open until 10 p.m. Sunday, and admission to the park grounds is free with a $5 parking fee. 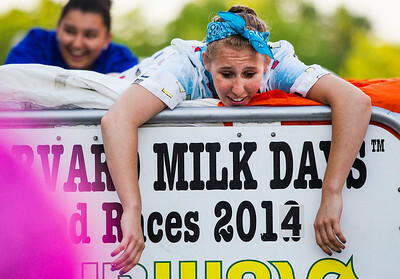 Samantha McCloud, 17, of Harvard collapses on the bed after racing down Ayers Street during the Milk Days Bed Races Wednesday in Harvard.